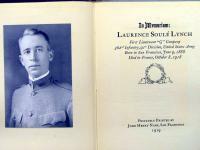 Tipped-in photo of Laurence Soule Lynch in frontispiece and last page. Approximately 10 pages. This was reprinted from the Coast Banker of January 1919. 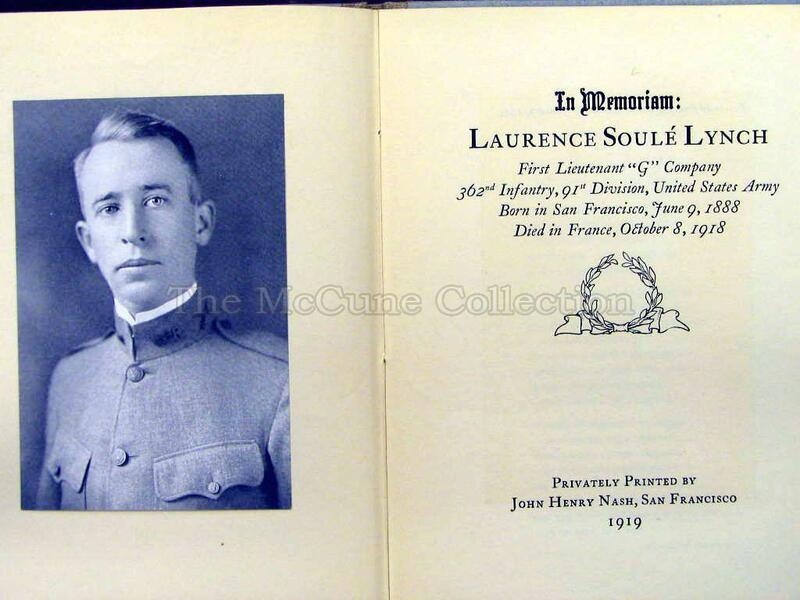 This tells the short life of Laurence Soule Lynch from his birth in San Francisco, his attendance at the University of California, his work for E.H. Rollins and Sons, Investment Bankers, his marriage, and his volunteering for the army in World War I. He died in the Argonne-Meuse offensive as a lieutenant leading his platoon.